Bachelor’s Degree required with Master’s degree preferred and a minimum of 5 years of executive level management experience or a combination of related education and work experience. Nonprofit management experience preferred. Facilitate the continuous review and regular update of the Achieve PBC Strategic Plan. Develop, implement, and manage the collaborative strategic efforts (including systems-level efforts) of Achieve PBC’s governance, strategy and support teams, in alignment with the Achieve PBC Strategic Plan. Cultivate effective working relationships with a diverse set of key stakeholders representing various sectors (e.g., students, parents, and families as well as education, business, nonprofit, philanthropic, civic, faith-based and other community leaders), and engage these stakeholders in the strategic work of Achieve PBC. Monitor the progress and determine the impact of Achieve PBC’s strategic work. Assist the Executive Director in managing Achieve PBC’s governance structure (including the Executive Champions, Operations, Co-Chairs, Strategy, and Support teams), operational guidelines/policies and procedures, communications plan, and fund development plan. Raise awareness of issues pertaining to post-secondary education readiness, access and completion. Provide information and actively engage in efforts to effectively communicate about Achieve PBC, as outlined within the Achieve PBC communications plan. Assist the Executive Director in developing the funding resources needed to support Achieve PBC’s infrastructure as well as strategic efforts, in alignment with Achieve PBC’s fund development plan. Assist the Executive Director in administering the annual budget, ensuring effective resource utilization and sound financial stewardship. 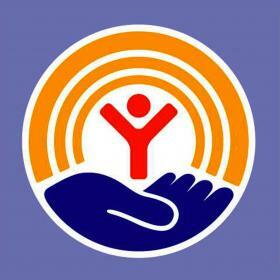 Assist with the United Way of Palm Beach County’s disaster response efforts. Demonstration of strategic thinking, awareness and ability to perform effectively given internal and external influences. Demonstration of outstanding interpersonal, meeting facilitation and organizational skills. Ability to build consensus, facilitate collaboration, build and sustain productive relationships with diverse individuals, groups, organizations and communities (e.g., students, families, nonprofits, businesses, and faith-based, government and philanthropic organizations) moving partners toward a common vision. Practical experience creating and leveraging broad-based momentum for a project or initiative dependent on buy-in and support from an unusually diverse group of partners and communities. Ability to independently, effectively and creatively solve problems, using a solutions-driven management approach supported by experience and hard data. Experience with developing and effectively managing large scale projects or initiatives with impactful results. Flexibility and ability to work on multiple high-priority projects as well as maintain focus and tenacity in pursuit of challenging goals. An exceptional reputation among peers for influence, critical thinking, and problem-solving; demonstrated through an influential professional network. Willingness to work flexible hours including early mornings, evenings and weekends, when needed. Excellent written and oral communication skills, strong presentation and interpersonal skills. A minimum of five years of executive level management experience or a combination of related education and work experience; Nonprofit management experience preferred. Demonstrated commitment to education and educational attainment. Experience working in a team environment, managing/facilitating effective groups, developing collaborative relationships, and working with volunteers. Flexibility and ability to work on system level change and multiple high-priority projects. Ability to analyze data and develop innovative strategies to maximize results. Knowledge of Microsoft Office products including Word, Excel, and PowerPoint.